Showing results for tags 'jung il woo'. 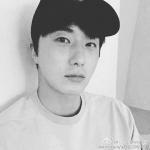 נυиg ιℓ ωσσ PROFILE * Name: Jung Il Woo ( 정일우 ) * Date of Birth: September 09, 1987 * Place of Birth: South Korea * Height/Weight: 184 cm / 64 kg * Blood type: O * Star Sign: Virgo * Hobbies: Internet Surfing, Watching Movies, Listening to Music, Collecting Clothes, Swimming * Expertise: Swimming * School: Seongnam Middle School; Yeongdeungpo High School; Hanyang University (Faculty of Arts) --> Graduated on 20 Feb 2014 * Family: Parents and 5 years Older Sister * Close Celebs Friends: Lee Min Ho and Kim Bum * Favorite Artists: Jun Ji Hyun and 2NE1 * Talent Agency: HB Entertainment <previous: Star-K Entertainment, Haru Entertainment, Soop Entertainment, Fantagio> * Official Fan-Club: Ilwoo Story (Korea), Smilwoo <previously known as Flying Up> (Japan) DRAMAS 2019: Haichi 2017: Chinese drama - Girls Lies 2017: Thai drama - What Lies Beneath / Love and Lies 2016 (tvN): Cinderella and Four Knights / 신데렐라와 네명의기사 (as Kang Ji Woon) 2016 (Chinese drama): Beautiful Woman / 여인화사몽 / 女人花似梦 2015 (web-drama/Sohu): Clueless - High Class Unrequited Love (as CEO Choi Se Hoon) 2014 (MBC): Journal of the Night Watchman / 야경꾼일지 (as Lee Rin) 2013-2014 (MBC): Golden Rainbow / 황금 무지개 (as Seo Do Young) 2013 (KBS): The Queen of Office / 직장의 신 (cameo; eps. 3) 2012 (MBC): The Moon Embracing The Sun / The Sun and The Moon / 해를 품은 달 (as Prince Yang Myung) 2011 (MBC): High Kick 3: The Revenge of the Short Legged (guest star; as Il Woo - ep. 40) 2011 (tvN): Flower Boy of Ramyun Shop / 꽃미남 라면가게 (as Cha Chi Soo) 2011 (SBS): 49 Days / 49일 (as Scheduler/Song Yi Soo) 2009 (MBC): High Kick through The Roof / 지붕 뚫고 하이킥 (guest star; as Il Woo - ep.35) 2009 (KBS2): My Fair Lady / Take Care of The Young Lady / 아가씨를 부탁해 (as Lee Tae Yoon) 2009 (MBC): The Return of Iljimae / Moon River / 돌아온 일지매 (as Iljimae) 2008 (MBC): The Secret of Coocoo Island / 크크섬의 비밀 (cameo; as Lee Yoon Ho - ep.1) 2006-2007 (MBC): Unstoppable High Kick / 거침없이 하이킥 (as Lee Yoon Ho) MOVIES * 2015: The Rise of The Tomboy - Chinese movie (as Ge Yang) * 2007: My Love / 내 사랑 (as Ji Woo) * 2006: Silent World / 조용한 세상 (as young Ryu Jung Ho) THEATER PROJECT * 4 Feb 2010 - 28 March 2010: 'Beautiful Sunday' (at Hanyang Repertory Theater) * 23 Nov 2010 - 27 Nov 2010: 'Hamlet' (as producer) --> for celebrating Han Yang University 50th Anniversary DEBUT * 1999: Feature Film 'Whispering Corridors 2' CF 2007: Vita 500, CJ Rice, Somang, HTO Banana Flavoured Milk, Daum-UCC, Samsung Anycall, Mnet Summer Break 2012: Doritos, LG Optimus LTE II 2012-2013: Domino's Pizza April 2012 - 2014: Enprani - Holika Holika 2015: BIOTHERM China, Skin Anniversary China 2016: RNW skin care, Doctor Son You Na face mask CLOTHING MODELING * 2016: MVIO, Chariot * 2014 : VOGUE x NIKE * 2012 (F/W) : FILA Korea F/W collection * 2011-2012: Googims clothing F&W & S/S collection * 2009-2010: NIX Footwear & Nix Jeans F/W & S/S collection * 2007-2008: NIKE clothing, CLride clothing, Spasso collection MAGAZINE MODEL * 2016: W Korea, Esquire * 2015: InStyle Korea, VOGUE, Eastern Trends * 2014: VOGUE x NIKE, K Wave, Harper's Bazaar, The Celebrity * 2012: 1st Look, "Cool" magazine, Japanese "K-Style" magazine * 2011: Nylon, Marie Claire, Movie Week, Cosmopolitan, InStyle, Style Chosun.com, CECI, 1st Look * 2009: Movie Week, Marie Claire, Elle Girl, ELLE "Share Happiness" Campaign * 2008: ELLE, Vogue Girl, SURE * 2007: Marie Claire, Cosmopolitan, Elle Girl, Vogue Girl, Ceci, Cine21, Interview, InStyle, E-Cool MV * Mnet Summer Break (2007) * Goodbye Sadness - Gu Jung Hyun (2007) * This Is Me - SAT (2006) SINGLE TRACK Narration in "Dynamic Duo" song title ‘That Damn Guy‘ "49 Days" OST --> Mp3 link: Jung Ilwoo - Scarecrow "Flower Boys Ramyun Shop" --> mp3 link: Jung Ilwoo - Someone Like You "Night Watchman's Journal" OST --> mp3 link: Jung Ilwoo & Nicole - Rain Tears Instead "The Rise of a Tomboy" OST --> MV: http://v.youku.com/v_show/id_XMTQ5NjUwNTAyOA==.html TV SHOW 2011: One More Time - MTV Korea 2011: Amazing Dream Project - jTBC 2012: Day Day Up - HUNAN TV China 2012: 100% Entertainment - GTVChina 2014: Infinite Challenge - MBC 2015: STAR CHEF - JSTV 2015: 'Running Man' episode 242: "Hallyu Race" - SBS 2016: Spring Festival Gala - HUNAN TV 2016: 'Running Man' episode 289: "Free Tour in Dubai" - SBS 2016: 'Running Man' episode 290: "Sandglass Race in Dubai" - SBS RADIO SHOW * 11 December 2007: Guest for Park Soo Hong Radio Show: 'Heartbeat 11.00 PM' @ KBS2 FM * 2007: Guest for Park Jung Ah's Stars Shine in Night's Radio [10:05-12.00 PM] * 8 April 2008: Guest for Park Kyung Rim Late Night Show @ MBC FM * 25 May 2011: Guest for Jeong Yeop MBC's Blue Night Show @ MBC FM * 3 Sep 2011 - 4 Sep 2011: Substitute DJ for ‘Choi Kang Hee’s Raise the Volume‘ radio show @ KBS FM * 22 Dec 2011: Guest for Kong Hyeon Jin's "Cine Town" radio show @SBS FM AWARDS * 2016: 2016 Asia Model Festival: Asia Special Award - Actor category * 2015 : Asian Influence Award: Asian Influence Most Popular Actor * 2014 : MBC Drama Awards: Top Excellence Actor Award for Special Production Drama (Journal of Night Watchman) * 2014 : Cosmo Beauty Awards: Forever Young Icon Male Star * 2012 : Huading Awards: Asia Excellent Male Actor Award * 2012 : Shanghai TV Festival: Magnolia Silver Award (The Moon Embracing The Sun) * 2012 : Fashionista Award (2012 Asian Model Awards) * 2009 : Korea Junior Star Awards TV Drama (Return of Iljimae) * 2007 : MBC Drama Awards: Best New Comer (Unstoppable High Kick) * 2007 : Mnet Choices Award: New Star + Male Drama Star (Unstoppable High Kick) * 2007 : Mnet KM Music Festival: Best Actor in MV Acting (Goodbye Sadness) OFFICIAL FAN-MEETING EVENTS 2016 Jung Ilwoo Fan meeting ~10thank you~ in Japan <held on 15 Apr) 2015 'BBQ Party" a birtdhay party event with Japanese fans (held on 13 Sep) 'Baking Class' Birthday Party event in Korea (held on 4 Sep) smilwoo FM: "Rainbow 'Woo' in Japan" (held on 25 April) Jung Ilwoo Fan-Meeting 'Ilwoo Together in Beijing' (held on 1 Feb) Jung Ilwoo Fan-Meeting 'Ilwoo Together in Taiwan' (held on 10 January 2015) 2014 Jung Ilwoo Fan-Meeting 'Ilwoo Together in Korea' (held on November 22) Jung Ilwoo Japan Event 'Ilwoo Together' (held on June 7-8) 2013 smilwoo FM in Japan (held on August 23) 2012 Jung Ilwoo 1st Fan-Meeting in Taiwan: "First Snow Promise" (held on December 8) 2011 Jung Ilwoo "Athletic Fan-Meeting" in Korea (held on 9 October) 2010 Jung Il Woo Fan-Meeting in Tokyo "Flying Up" (held on November 6) "Happy Sunday! Beautiful Sunday: Ilwoo's Birthday Party & Fan-Meeting" (held on September 5th in Korea) 2009 Jung Ilwoo's first Fan-Meeting: "Secret Time in Japan" 2007 Jung Ilwoo's first Fan-Meeting and Official Fan-Club Party in Korea SOCIAL-NETWORK * Facebook: https://www.facebook.com/Officialjungilwoo * Twitter: https://twitter.com/ActorJungilwoo * Instagram: http://instagram.com/jilwww * Weibo: http://weibo.com/actorjungilwoo * me2day: http://me2day.net/actorjiw OFFICIAL WEBSITE/ FAN SITE / FAN CLUB * Jung Ilwoo Official Website: http://jungilwoo.com/ * Jung Ilwoo Japan Official Fan Club: http://jiw-fc.jp/ * Official Korea Fan Club Site: Ilwoo Story * Jung Il Woo Korean Site: Jung Il Woo Cyworld * Jung Il Woo Japan Fan Club Site: Ilwoo Story Japan * Jung Il Woo China Fan Site: Jung Il Woo China Fan Cafe * Jung Il Woo China Site: http://www.jungilwoo.cn/ JUNG IL WOO VIDEO COLLECTION * YouTube: Jung Ilwoo's video collection [video credit: aisling_] * YouTube: Ilwoo Sarang **************************************************************** I'm taking over the first post since there's no further updates from the original thread starter steamedcorn. Thank you MOD/Rubie for granting my request. This first post is updated by ilwoo_aein. DO NOT TAKE THESE INFORMATION OUT OF THE THREAD WITHOUT PERMISSION. PLEASE GIVE FULL CREDIT IF YOU TAKE THESE INFORMATION OUT OF THIS THREAD!!! PLEASE RESPECT MY EFFORT in COLLECTING ALL INFORMATION about ILWOO in this first post. Please read the Soompi Forum Rules before posting!